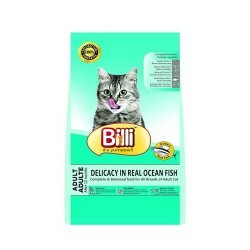 Product Details- Ingredients - Real Sardine, Real Mackerel, Eggs, Corn Gluten Meal, Whole Grain Cereals, Soya Refined Oil, Wheat Flour, Taurine, Vitamins Prebiotics and Probiotics, Suitable-Adult Cats, Quantity-500 Gm. 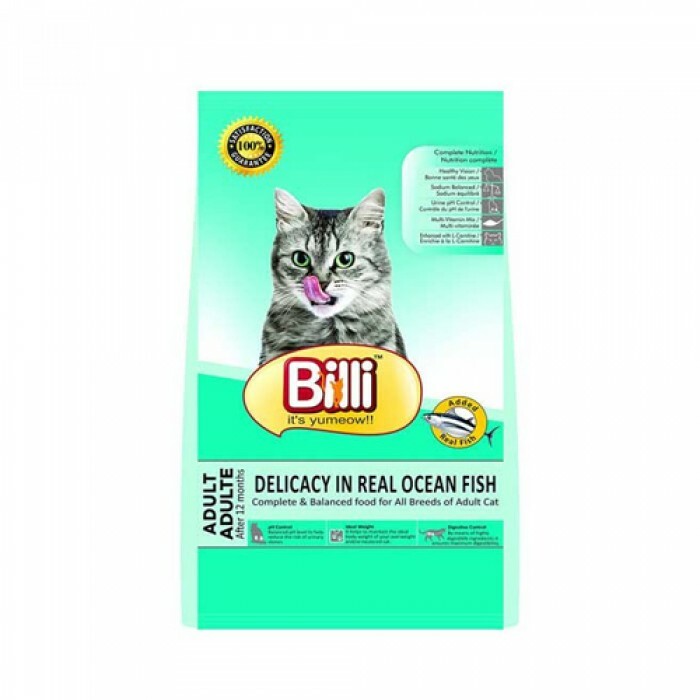 product Information -Billi Cat Food with Ocean Fish presents a nutritionally complete and balanced diet to keep your lovely furry cat in the best health condition. The food includes high quality of protein, which is sourced from ocean fish - Sardine and Mackerel. The diet would help to control the Urinary pH of your cats body so that it stays at a healthy level. Taurine is a very critical amino acid, which is supplied with the diet and helps to support many organs and functions like the heart and the vision. A proper quantity of prebiotics and probiotics assists the digestive system in the digestion of the meal. The good health of the feline is also reflected through its healthy and glossy coat.